One of the current Nike Basketball favorites is back in a new another new colorway, and with a slight redesign. You'll first notice the new 'Blackened Blue/Bright Citrus-Stadium Grey' colorway, but then you'll notice that the Zoom Hyperdisruptor receives some small modifications including added Hyperfuse material around the ankle and a plastic midfoot shank for extra support. 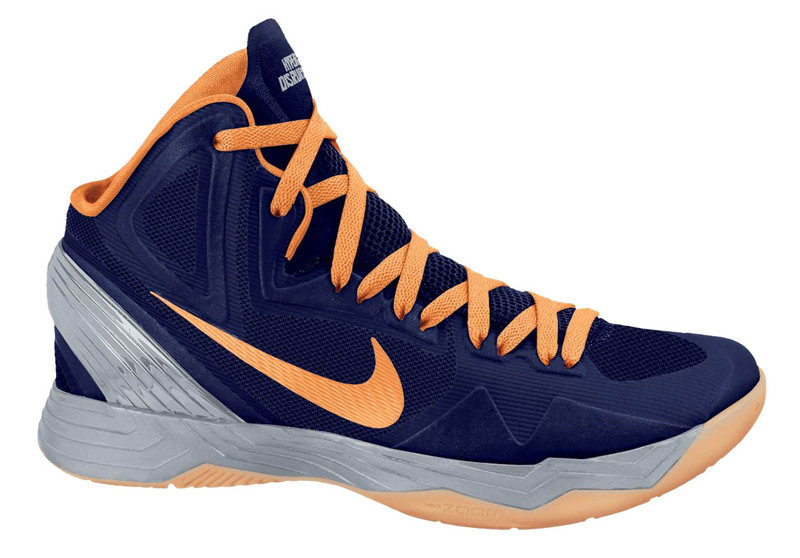 Look for this new Zoom Hyperfuse now from select Nike Basketball retailers, including online directly from Nike Store.